Gov. 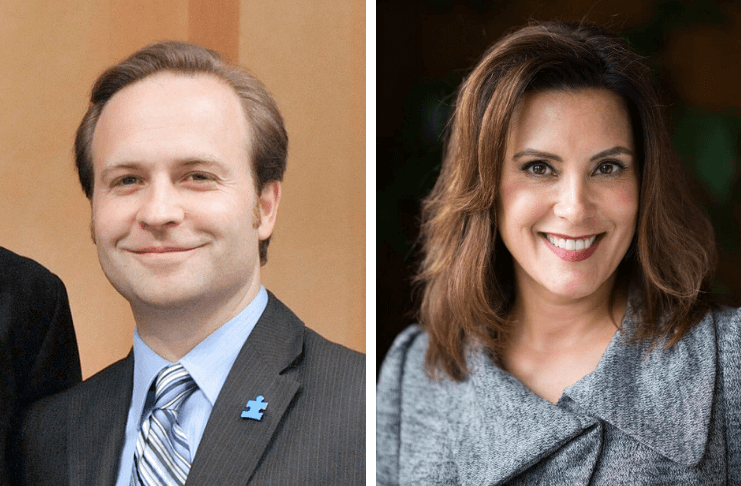 Gretchen Whitmer’s fiscal year 2020 budget has, not surprisingly, won praise from education organizations, road builders, anti-poverty advocates and local government groups. When it came to business groups, however, the Democrat got a mixed review. Doug Rothwell, President and CEO of Business Leaders for Michigan, praised her roads plan. Rothwell also applauded Whitmer for programs to increase the number of Michiganders with a post-high school credential, like an associate’s degree or workforce training certificate. He said it was “consistent” with the group’s agenda of increased support for higher education. He added that his organization believes that should “be tied to performance,” however. But the Small Business Association of Michigan (SBAM) was highly critical of Whitmer’s proposal to expand the state’s 6-percent corporate income tax to more S-corporations and limited liability companies (LLC). That didn’t exactly come as a surprise as SBAM’s president played an integral part of getting the current business tax system in place. Brian Calley served as GOP former Gov. Rick Snyder’s lieutenant governor for eight years and the 2011 corporate income tax, which excluded S-corps and LLCs, was his first big policy priority. Michigan Chamber of Commerce Chamber President and CEO Rich Studley weighed in on Whitmer’s roads plan in a measured statement, reiterating its position that user fees phased in over time are the best way to fix infrastructure. Here’s a roundup of other groups’ reactions to Whitmer’s budget plan.